The Witcher 3 and Cyberpunk 2077, while both open world games, are remarkably different. One is set in a fantastical version of the 13th Century, while the other calls the distant future home. Of course, the switch between third and first-person perspectives constitutes another contrasting quality. 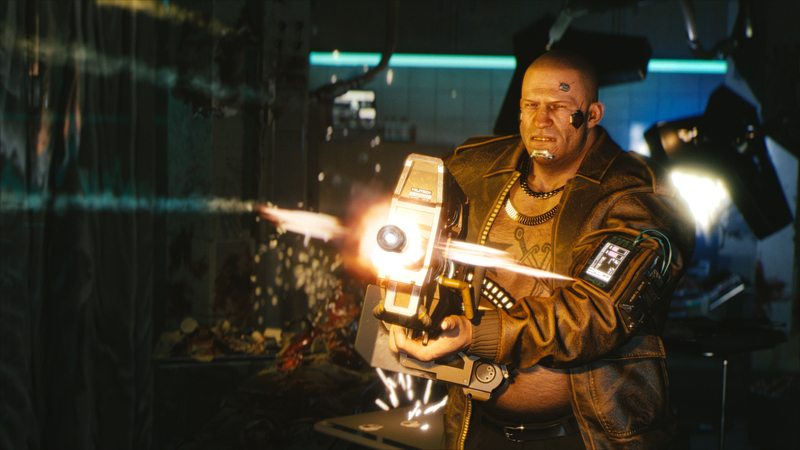 Naturally, CD Projekt RED’s development team had to adjust, especially with regards to the technology powering Cyberpunk 2077. It gave us a sense of safety in our own skills. Right now our environment artists are populating a level with the assets, and they are not afraid of testing out new things. This is exactly what we need to stay open to, because personally I believe that The Witcher turned out that good—and why Cyberpunk will turn out really good—because we are not afraid of change. We have a completely new animation system, and we completely changed the approach to handling animations. We have a better mocap studio, we have a completely new facial animation system based on muscles. We have a new way of generating lip sync animation when people are talking. We have a completely new approach to creating environments, so instead of working on a huge world at once we are creating prefabs which are then adjusted and placed differently, so everything is scalable. Another thing is simply our engine, which we decided to push far while still working hard on optimisation [sic] to make sure the game will run on current-gen consoles. It’s a completely new way—I would say almost every single department went through this kind of evolution. To some degree, the PlayStation 4 and Xbox One may already be holding back Cyberpunk 2077. Recently, Level Designer Miles Tost said environmental destructibility is currently up in the air, since the PS4 and Xbox One can only accomplish so much performance-wise. CD Projekt RED has yet to announce a release date for Cyberpunk 2077. Thankfully, there is a video with 48 minutes of gameplay to gawk at while we await further details.